Planning a party for baby, toddler, child or adult can be pretty stressful and expensive. There are many things to think about when you plan a party and it is always best to plan ahead and be organised. I'm not the most organised person but when it comes to my children's birthdays I try my best to be organised and plan as much as I can in advance. Think of a theme: First of all before you plan and buy anything, you need to think of a theme for the party. Last year I decided to do a Frozen theme birthday party for Mia and this year I am planning to do a Monster High and My Little Pony theme. There are many themes to choose from such as TV programmes, colours, favourite teddies/characters and more. Place: Secondly, you will need to think where you want to have the party. It could be in a house, local play area or booking a community hall out. You will need to know roughly how many people you are going to invite and make sure there is enough room. You should book this a few weeks in advance - if the location is popular. Invitations: Once you have chosen your theme and location you can start buying things for the party. First of all you will need to send out invitations. Invitations are always best to hand out in person not through Social Media. You could always use Social Media to remind them about the party closer to the time. Give at least 2 weeks notice of the party so the invited people can make sure they can come. An RSVP is always best to put on your invitations along with a phone number just in case someone can't come. Invitations are always helpful to know how many people will be attending the party. Food: Many people do buffets for parties. But for a child's party you could use party boxes which is a much simpler and easier way of giving food to children in the party. On a plus side also, you won't have as much left overs or mess left for you to clean up after everyone. Decorations and party bags: You can buy many things for party bags online and in shops. There are often deals for party bag items in most shops. My favourite place to buy party bag fillers is Home Bargains. My best place online to buy party bag fillers is Ebay. It won't be a party without invitations would it? 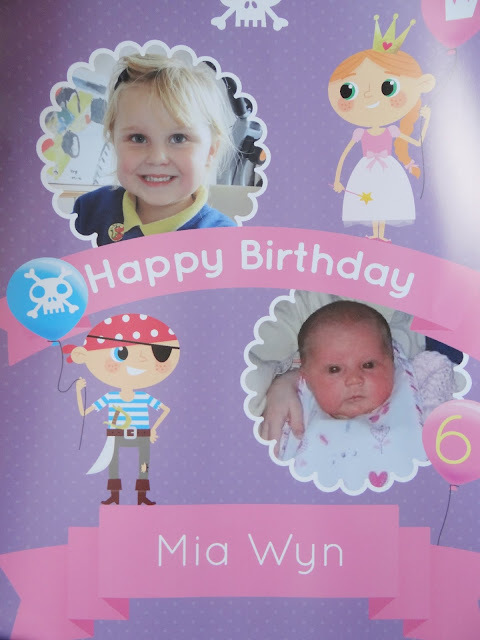 Helloparty offer personalised banners, posters and bunting for most occasions. There are many themes to choose from such as Pirates, Princesses, 18th/21st, Wedding, Hen Parties, New baby and much more. I received 3 birthday posters and party bunting from helloparty and decided to personalise bunting and 2 posters for Mia's upcoming 6th birthday party and one poster for Elliw's 4th birthday party next year in March. I did struggle on which theme to choose from because there wasn't really any to go with the theme I chose for Mia this year - Monster High and My Little Pony but I will be putting the posters on the front windows for people to see. When they arrived I was overly impressed. The quality of each poster and bunting was fantastic. The quality of the pictures and poster itself was great. The posters came in a long tube which is perfect as I can keep that in a memory box to look back at in years to come. 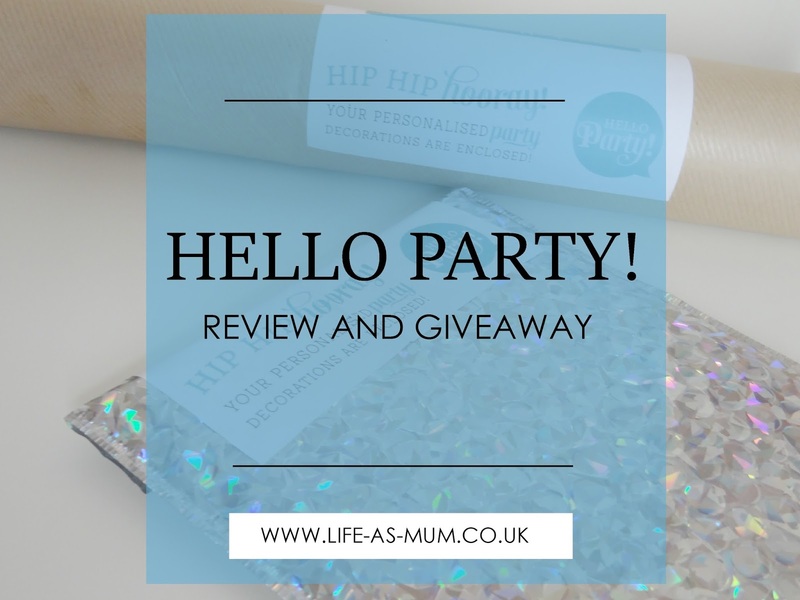 What's best with helloparty is how you can personalise each item to your own taste. With the different themes to choose from and choice sizes there is definitely one for everyone on their site. 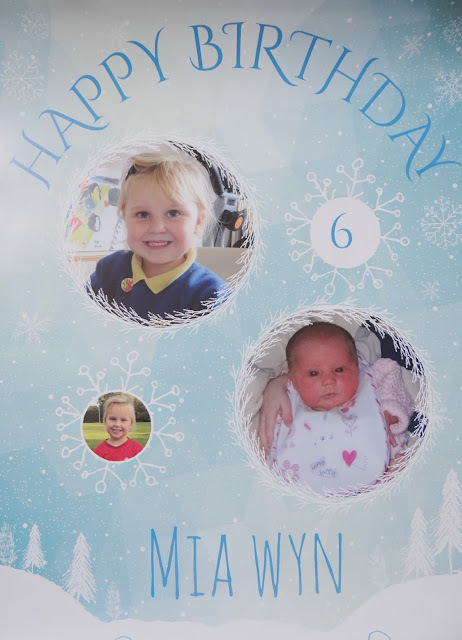 It's very easy to personalise and you can add your own photos, font and writing. Now you have a chance to win the same bundle as I did, but of course you can personalise it yourself. All you have to do to enter is make sure you read the Terms and Conditions then enter via Rafflecopter below. TIP: You can hang up these posters up with wooden poster hangers. I didn't have any time to do these for the photos but I thought I would leave the link here with you all if you would like to try it out. Click here to see how you can make a great wooden poster hanger. 1. 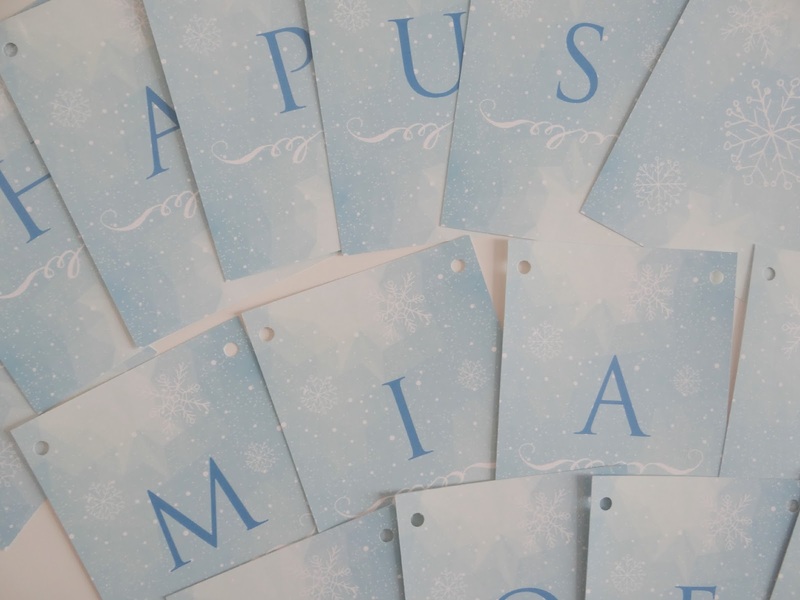 Prize is - 1x A2 poster on paper with no finish (£12.99), 2x A3 posters on paper with no finish (£19.98) and 1 bunting with up to 24 characters (£36.00). 5. Prize is provided by HelloParty! * I was given these products free of charge in return of an honest review. All images, words and opinions are my own, as always. Wow those posters are fab! Love the idea of a party box for food! I never considered that before! What a fantastic bundle! Jack's birthday is soon so this would be really helpful! I can't wait to plan birthday parties for my girl when she's older. So exciting! You've shared some brilliant tips here too. I noticed party bag bits in Wilkos the other day and thought they had come a LONG way since I was a kid!